One of my goals in 2013 is to read more YA science fiction. It seems to be easier to pick out of a lineup of forthcoming novels these days – gorgeous cover art matches the quality of the book. Perfect example? 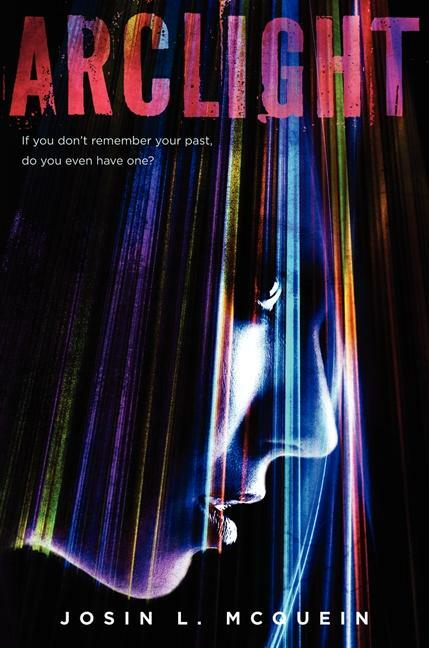 Arclight by Josin L. McQuein is recommended for fans of Veronica Roth and Stephen King, so it sounds like it’ll be a thrill ride and a half, possibly with some horror-esque elements. It also has a stunning and simple cover. I’m in. Arclight will be released by Greenwillow Books (HarperCollins) on April 23, 2013. The Arclight is the last defense. The Fade can't get in. Outside the Arclight's border of high-powered beams is the Dark. And between the Light and the Dark is the Grey, a narrow, barren no-man's-land. That's where the rescue team finds Marina, a lone teenage girl with no memory of the horrors she faced or the family she lost. Marina is the only person who has ever survived an encounter with the Fade. She's the first hope humanity has had in generations, but she could also be the catalyst for its final destruction. Because the Fade will stop at nothing to get her back… and Marina knows it. Tobin, who's determined to take his revenge on the Fade, knows it. Anne-Marie, who just wishes it were all over, knows it. When one of the Fade infiltrates the Arclight and Marina recognizes it, she will begin to unlock secrets she didn't even know she had. Who will Marina become? And who can she never be again? Josin L. McQuein has created a story that will haunt you, that will keep you reading late into the night even though you're afraid to turn the page, and that will break your heart. Arclight is a bold and astonishing debut about identity, disarming connections, and the courage we find when facing our worst nightmares. I'm incredibly curious about this book! It sounds like something I might really enjoy! Science fiction is one of my favourite genres, though I feel like I don't read nearly enough these days. I'll have to make sure I buy this one once it's released. :) Great pick! Haunt and keep me up? Great summary. Nice find! This one sounds super cool & I really like the cover for it. Awesome pick & thanks for commenting on my WoW! That cover is super cool. I need to read more YA sci-fi too. Just picked up one today, in fact. I am definitely excited to read this one, too! The story sounds really great. This sounds awesome. Can't believe I hadn't heard of this until now. Thanks for sharing! I haven't heard of this one until now. I don't read a lot of sci-fi but this does sound quite interesting!! Thanks for sharing. I have a copy of this one on my TBR and I can't tell you how excited I am to check it out. Great WoW pick!